Selling the home and buying a home at the same time can be a stressful situation but it is not uncommon and many people need to do it in order to move on. If you’re selling a home in the Palm Beach County area and need to purchase in the same area it’s a great idea to use the same agent for both transactions. This limits the confusion and frustration of dealing with too many people and too many parties in the transaction. 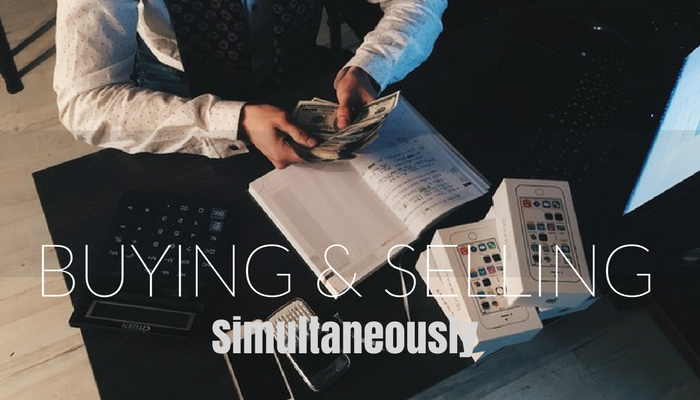 But here are some other tips to make buying and selling simultaneously and easy and stress-free process. #1. Try to keep emotions at bay. This will be a very stressful and complicated time but it doesn’t have to be as difficult as you might think it is. By preparing yourself ahead of time, keeping emotions at bay and trusting your agent can make the process go a lot smoother. It can be a little bit stressful that you’ve found a home you want to live is that you have a sold your current home or perhaps you’ve sold your home but haven’t found a new home in which to move. Don’t let anxiety overtake you. Trust your agent, however, don’t feel like you need to trade off on things that are vital to you if you need to buy or sell first. You also not want to accept an offer they feel is too low simply because you are strained by two home loans. Talk to your lender, get your finances in a row and let everyone know what your situation is before diving into the process. Once the process is started it can be difficult to backtrack and way more stressful if you have not prepared. #2. Understand the housing market in your area. The housing market is quite different than where it was just 10 years ago so understanding the market can help you price, sell and then find a home a lot better than if you have no clue what’s going on in the real estate world. If it’s easier to sell then buy in your area you might want to consider buying a home first or at least placing an offer on a home. If it’s the other way around, consider selling first and then finding a home. Again, talk to your agent about the best way to go about buying and selling simultaneously. #3. Schedule as much as you can. This might be difficult because it will depend on the logistics of why you’re selling and moving. You might not have a chance to calculate the right timing and dates for all the necessary procedures that will be coming up. However, if you can arrange your calendar cautiously by making sure that you have enough time to move, sell, buy and close on both home simultaneously it will feel a lot less stressful. Now is probably not the time to sign up the kids for multiple sporting events, take on more projects than you need or take on extra work at your place of employment. It’s best to free up the calendar during the 1 to 4 months it may take to buy and sell a home. Related: How Has Home Buying Changed Since Our Parents Time? #4. Understand the money -related arrangements. Talk to your lender about your goals and what you’re trying to achieve by buying and selling simultaneously. Talk to them about the options of maintaining to home loans if necessary should the home not sell before you find a new one. Ask about bridge loans, carryover loans and other options that might be available to you in this type of situation. Most real estate agents and lenders will suggest trying to sell your home first. At the very least, listing and marketing your property before looking at other homes is a little bit smarter than finding the home you want and then starting the marketing and listing process. The takeaway is to really talk to your agent about your needs, your desires and the goals that you’re trying to achieve. If your agent and your lender both understand where you’re trying to get, they can do all they can on their side of the transaction to make sure those deadlines are met. If you need to buy and sell a home in the Palm Beach Gardens or Jupiter please contact me today. Let’s discuss your options and financing programs and see what works for your situation and timing.